As I mentioned yesterday, we were excited to be asked to review MeMeTales books and create book-related activities as part of Readathon 2012 with MeMeTales and PBS Kids! 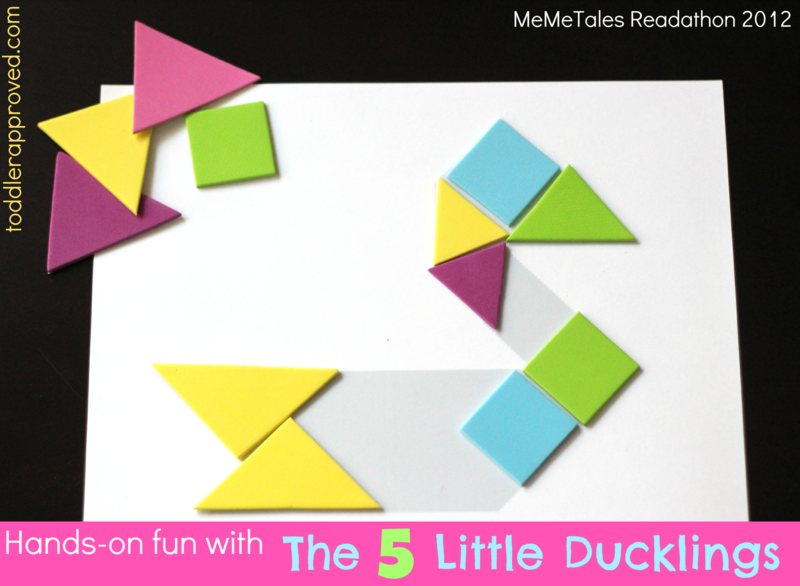 This week we decided to read the cute little story of The Five Little Ducklings (which you can 'borrow" for free this week at MeMeTales when you sign up for a free account). 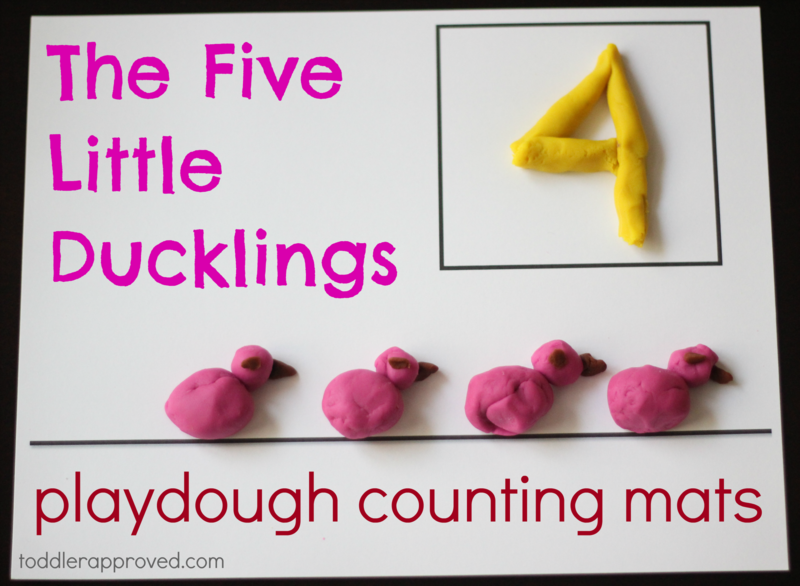 The Five Little Ducklings is a simple counting book where mama duck loses her ducks as the story progresses and the number of ducks starts at five and ends with zero... until all the ducks come back! 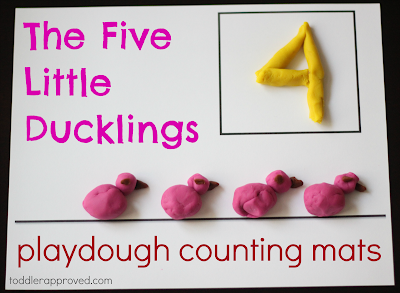 We did three simple activities with our hands that were five little duck themed. You can check them out below. Once I printed off the mats onto cardstock, I just gave them playdough and the mats (covered with contact paper and secured to the table) and they started creating! Each mat had a different number on it. We also had a blank mat so that my son could choose how many ducks he wanted to create and then make his own number! Both kids had fun counting and I also talked with my son about subtracting as we created and read the story. I love to find a use for random materials around my house, especially leftover stale candy that is lying around. For this activity we used a duck outline and some mini Twizzlers to create a duck! You can download my duck template here. This was a great problem solving activity. He had to rip up the Twizzlers to make them into pieces that would fit. For this activity I printed off a basic duck outline and cut some foam shapes into a variety of sizes. We used the shapes to problem solve and try and fill the duck! You can download my duck template here. We love tangrams! You could make loads of other animal themed tangrams to go along with this week's Readathon 2012 theme as well! What other activities would you do after reading The Five Little Ducklings? If you haven't signed up to participate in Readathon 2012 yet, go here for more details on how to get started! You can also check out the MeMeTales Pinterest board for more animal themed activities! Disclaimer: Due to my participation in the Readathon 2012, I am receiving the featured books for free from MeMeTales. In exchange, I will be sharing book inspired, fun activities with you each week! Love the playdough sheets!!! Looks like they had a blast! Wow! I love all the you did! The mats are amazing!